The night had been brisk. The bitter chill of the approaching winter hid within the soft breeze that drifted through the branches. The starry night sky had been peaceful and elegant as ever. No comets tearing through the inky black, nor a hint of a kaleidoscopic aurora. The creatures of day had gone to rest their weary limbs whilst the creatures of the night stirred from their slumber. Nnlya gazed up and the diamond pricks, dotted about the black dome that covered the earth when the sun went away. As they turned their way through the sky, she travelled on, hoping to make the border soon. Her paws padded softly, crunching the bright autumn leaves into tiny little pieces. The soft breeze ruffled her fur, carrying the scents of the land with it. Her nose detected the scent of earth and decay; the refreshing odour that meant there was a water source nearby; and the sweetness of young birds, nestled high in the trees with their mother. She sighed heavily. At times like this she missed her family. She often wondered what became of her brothers. Whether her parents were still the Alpha and Alphess of the pack. Did they miss her? Every so often she found herself contemplating a return to her family. But she wouldn't know where to begin. Nor exactly what their scent was like. The memory was slowly slipping away from her as time went on. She knew once she found it, she would know, but she could be looking forever before she did. Nnlya picked up the pace to a light jog. She had decided upon her path anyway. She wanted to join a pack. A good pack, with a kind Alpha and Alphess, where she would be treated right. Where there would be someone to take care of her, though she would still most certainly do her job. She could hunt and she could fight, yes, there was no match that she had lost. Her ability to fight alone so skilfully had been what kept her alive this past year and a half. Looking up through the trees and into the distance, she saw two old trunks that had grown together. They were twisted and warped, looking rather odd. They were together, intertwined, each supporting the other. Nnlya wanted a mate. She felt she was ready. She didn't mind who he was, or where he came from. Only that he was good and kind to her, that he was able to protect her. She continued on through the night and into the early morning. Nnlya found herself sitting on the edge of a small cliff, staring out at the horizon. Dawn approached and the multi-hues sunrise painted itself in the sky before her eyes. Bright bands of orange, pink and yellow broke the sky, revealing a wonderful ripple of azure. AS the sun slowly lifted itself from its nightly reprieve, Nnlya howled to welcome the new day and rejoice in the beauty she had the privilege to witness. When the sun was well up and the day about to begin, she travelled her way further when a scent assaulted her. Many wolves had passed by this place. Some as recent as the previous night, others not for some time. It was clear that she was on the edge of a pack territory. This was her chance to begin her new life. She raised her voice in animalistic song, howling a call to anyone who would answer. A call to belong.  The inky blackness brought little comfort to the male as he fought to sleep. His mate had gone out early to patrol, leaving him alone in the den, but sleep would not return to him. 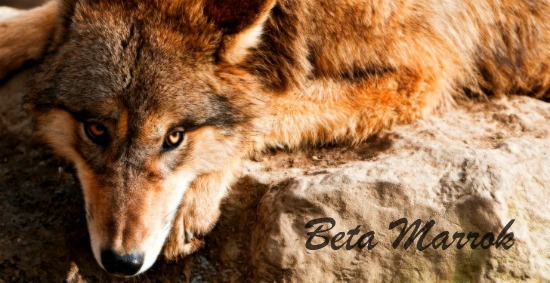 Rolling around on the dirt floor of his den, the disgruntled Beta finally gave up and stood. Shaking the dirt from his pelt, the sable male exited his den and started towards the woods. Large paws crinkled through the leaves as he walked forward, chilled slightly by the night air. Holding back a shiver Marrok couldn't wait until his winter coat grew in. Though he would appear slightly poofy, he would be toasty warm of these brisk nights. Walking a ways the large male soon found himself heading towards the western border by an old grove of maple trees. He hadn't journeyed that way in quite a while and figured it might warm him up to walk that far. Picking up the pack he broke into a trot, crunching more through the leaves and twigs below. A lone howl ahead of his perked his interest. With perked ears the male lunged forward, covering ground quickly until he nearly some gnarly old trees. There was a single fae in the grove, patiently waiting as most newcomers did. Raising his tail up the Beta walked forward, clearing his throat on the way. "Greetings miss, I am Beta Marrok of the Helidos pack. Who are you and why have you come to my lands?" He questioned, his voice firm yet gentle. Not one to strike fear instantly into fae's, he would feel her out to see if she deserved a little respect. Nnlya sat on her haunches, waiting patiently for someone to answer her call. Looking around, the grove of trees glowed in the autumn dawn, their leaves appearing to burn on the tips of the trees. It was truly a wonderful sight to behold. As time dragged on, she began to scratch at the dirt with her right forepaw. She had once seen a wild mustang do the same in his agitation and picked up the habit ever since. Heavy footfalls could be heard some way off, crushing their way through the dying fallen leaves. Her ears perked up, swivelling to detect where the sound was coming from. The overpowering scent of a wolf pack sat a few metres in fron of her. Clearly the edge of the territory. The border. She waited. The crinkling of leaves underfoot slowly grew louder and louder until a great rust coloured wolf bounded through the trees to halt before her. She took in his impressive form: broad shoulders; bright, clean fur; clear eyes; tail curled high in the air. He called himself the Beta of the pack whose lands she hoped to enter. It seemed fitting for him. Nnlya stood gracefully, carefully planting a wide stance and lifting her tail high, though not quite as high as his. She was an Alpha-child, but not on these lands. She knew she had to earn his respect. Nnlya raised the gaze of her bright, azure eyes to look straight into his amber ones. She held his gaze as she spoke. Greetings. I am Nnlya, currently a loner seeking a place in your pack. With humble apologies for waking you. She replied firmly and with confidence. Her voice rang through the trees with her natural kindness and the slightest of hints of her ferocity, adding a strong edge. It said that she was a good wolf, but not one to be disregarded or bandied with. It was a little more formal than she would normally be, though she knew the occasion called for it. Watching her before him stirred several emotions within the Beta. First he applauded her for having the gall to not scurry away from him, as he probably looked formidable in the twilight. On the other hand her slight lack of submission wasn't putting her off on the right foot, so he felt the need to change that. "Before you ask for acceptance it would do you good to show me some more respect by lowering your tail Nnlya." He said, knowing perfectly well his mate would have demanded it more forcefully then he did. Maybe it was because he had a soft spot for faes, or maybe it was his easy going nature. No matter what it was he still required respect, especially from someone seeking entrance into the pack. "You say you want to join? Well what can you offer the pack and my Alpha's?" He asked, trying to feel out a suitable rank for her if she made it that far. Some weren't cut out for pack life, it demanding a certain type of wolf and not all loners could manage that. There had been several wolves in the pack that had left for the sole reason of not taking it. There were also those who crosses over to follow that damned brute Steele, traitorism lay even heavier on Marrok than being ill-equipped. Nnlya grimaced inwardly, but lowered her tail all the same. Not to that of an Omega, but fractionally so that it was held straight out behind her. I niggled in her mind that she didn't like showing forced submission, wanting to prove that she was strong and capable as his mate probably was. She had no desire to be with him in that manner, of course, only to be respected as she felt she deserved. I was not separated from my pack by banishment or desire. At the beginning of my second year I was lost from my parents, Alpha and Alphess of the Aurora pack. During that first year my father chose me as his heir and trained me as such. After I was lost, I spent my day remembering his training and wandering as a Loner. I am an accomplished huntress and to this day have not lost a fight when put into that situation. I am a fierce fighter and will protect those I care about with my life. I offer my knowledge, experience and skills to be at your disposal. She replied assuredly. Her gaze never dropping from his. The breeze sifts through her soft fur, ruffling it slightly. She feels a sense of power, speaking aloud only some of the things she had experienced. Thats more like it Marrok thought as a smirk crossed his face. Her submission now was enough for the Beta to see that she knew enough of pack customs and as she spoke his doubts of her started to fade. Listening to her story a few red flags popped up in his mind. "You say you were lost from your home pack, why not track you way back if you had had all that training. How were you lost in the first place as well?" He questioned, now eying her for signs of lying or exaggerating her story. "Never lost a fight? We may have to test that, but not now. For now I just require you to pledge yourself to my pack before I grant you a rank Nnlya." He said, a smile cresting his maw. He was pleased with what she said, though he would learn her true strengths later on when she wasn't expecting it. Anyone that could boast about being unbeatable needed to prove themselves in his eyes. Nnlya could sense his wariness at her story. She tried to glaze over it as much as possible as the memories wer still fresh in her mind. We were moving den sites when there was an avalanche. Our pack was most of the was through the mountain pass when it got close. One of my brothers and I had been playing at the time. Onyx was my favourite of the three boys. He was the oldest and always treated me kindly. As the avalanche tumbled down the mountain, my father pulled everyone into a hidden cave in the side. We were too far away. Onyx spotted another cave closer to us. We bolted but only I made it in before the wall of white hit. Onyx was killed, swept away in the tide. His death was my fault. I was lucky, my cave was actually a tunnel that lead underneath the mountain and out the far side, into another packs territory. With the way blocked there was no getting through. I travelled to neutral territory and have been a loner ever since. I've sometimes thought of going back, but by the time the snow was melted, I was old enough to be a dispersal wolf anyways. She kept her voice firm through the entire tale. But a tiny drop of moisture glistened in the corner of her eye when she spoke of her brother, Onyx. Nnlya blinked twice and heaved a sigh. She understood his surprise at her not having lost a fight. It seemed unreal. But it was true. Most times when she had accidentally toed the line of a packs borders, the subordinates were quite forgiving and allowed her on her way. There were only a few occasions where she had had to fight. She had fought warriors mostly, but had even managed to dominate and Elite. He was brutal and ruthless, displaying scars the like that would scare any pup. Nnlya had fought viciously, fending off the brute's sharpened claws and powerful jaws. She had only received a few superficial scratches and a good nick on her hindquarters, but none of them had permanently scarred. The memory scared her as she remembered the Elite trying to mate with her against her will. She knew her limits and was not completely confident that she would prevail in a fight against him, but submission did not seem an option. When she rejected his advances he became violent. To submit was to die in her case, so she fought. Nnlya shifted her focus back to the present, watching the Beta as he watched her. Her nose caught the scent of sap leaking from the trees, its sweetness calming her. My battles were fought only when necessary to preserve my life. Was all she replied with her remaining confidence. Feeling and hearing the emotion in her voice was all Marrok needed to believe her words. He too had a hard past and tread lightly on that subject, so he gave her points for sharing that with him. "I'm sorry at the loss of your brother Nnlya, but it seems that you made it through all right. Now please pledge yourself to me and the pack and I shall name you a warrior of this pack." He said, now rising to his feet. She had the courage to tell his her life story, though something else troubled her. Too polite to pry he only smiled at her to give her confidence. Many a wolf here had a bad past, but almost all rose above it. Marrok too had his own skeletons, namely killing his own father on accident over the loss of his past mate. Not allowing those memories to flood his mind the Beta let himself focus on Nnlya's next words, for they would hold her future to the pack. If she pledged herself she would be a warrior in his and the pack's eyes. The pack would protect her and shelter her, and in return she would serve the pack until her last dying breath. She also seemed likeable and would fit in well, perhaps she would even befriend his mate Beta Juno or some of the other faes. Most were pleasant to new comers as they were in her shoes once. Nnlya drew a long breath. Words have power, she thought. Her next words would determine her fate to this pack. To pledge would throw her into a new world, a life of the unknown. Hopefully a life where she could be protected. To refuse would be to return to her life as a Loner. A life she knew and coped well with. But a life she despised. Being a Loner was, for lack of a better word, lonely. You didn't have a mate as a Loner. It was you and the world. Her choice was clear. I pledge myself to you, Beta Marrok, as the wolf who found me and welcomed me. I pledge my self to your Alpha and Alphess, leaders of the Helidos pack. And I pledge myself to the wolves of the Helidos pack. I swear to care for and protect them to my last. She spoke firm and with pride, willing him to know that she meant every word with the force of nature. In an act she never thought she'd find herself doing, she crouched low to the ground and rolled onto her back, exposing her snowy belly and neck. In doing so she placed faith in him not to harm her. She submitted to him as above her and placed her trust in him. Looking up to the early morning sky, shots of pink, orange and yellow lit the tips of her fur. She glowed as she basked in the warm light, hoping for a positive response. A warm grin wrapped over Marrok as he heard her pledge. True words rang out in his ears of the promise she would keep to the pack. There was no doubt in his mind that she would uphold her oath to protect the pack and be a true Warrior there. Then he stood shocked as she fully submitted to him, even when not asked. This sealed the deal in his mind. "Rise Warrior Nnlya, you are now a member on the pack of Helidos under the ruling of Alpha's Azul and Lucy. Remember your pledge as you live out your days with us. Welcome home." He said as he motioned for her to stand. His stomach growling and the nearing sun rise made him remember that he was to get food for himself and Juno that morning. Turning back to the new warrior he flicked his ears back. "I must be off Nnlya, but if you follow my trail it will lead you the the pack's clearing. You can build your den there and meet the other pack wolves. I do hope I see you again, good bye." He said before bounding off, leaving Warrior Nnlya behind him.